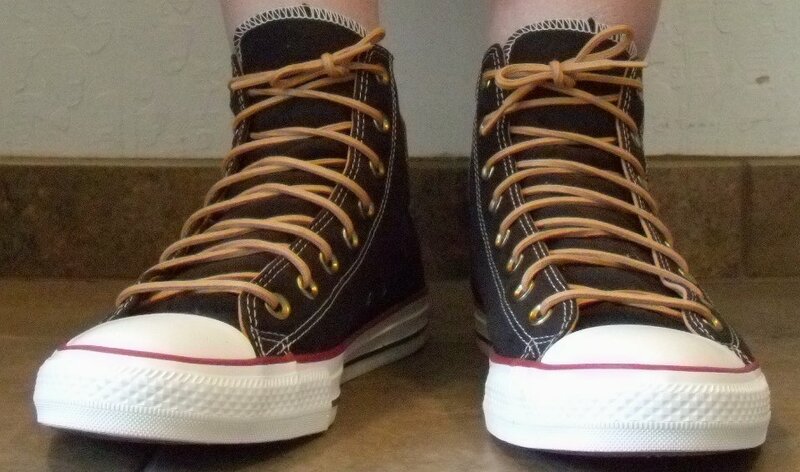 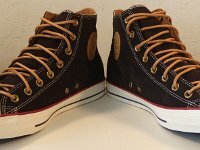 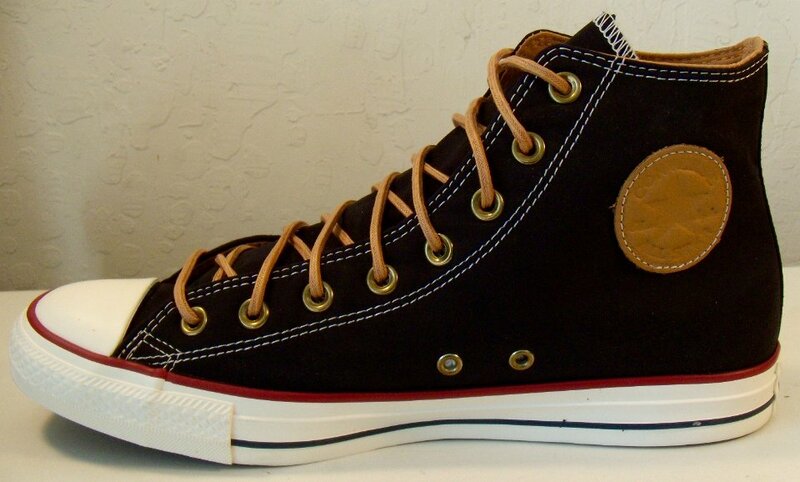 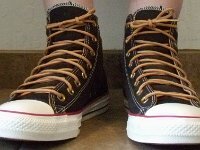 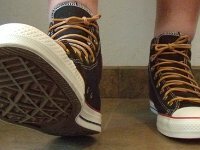 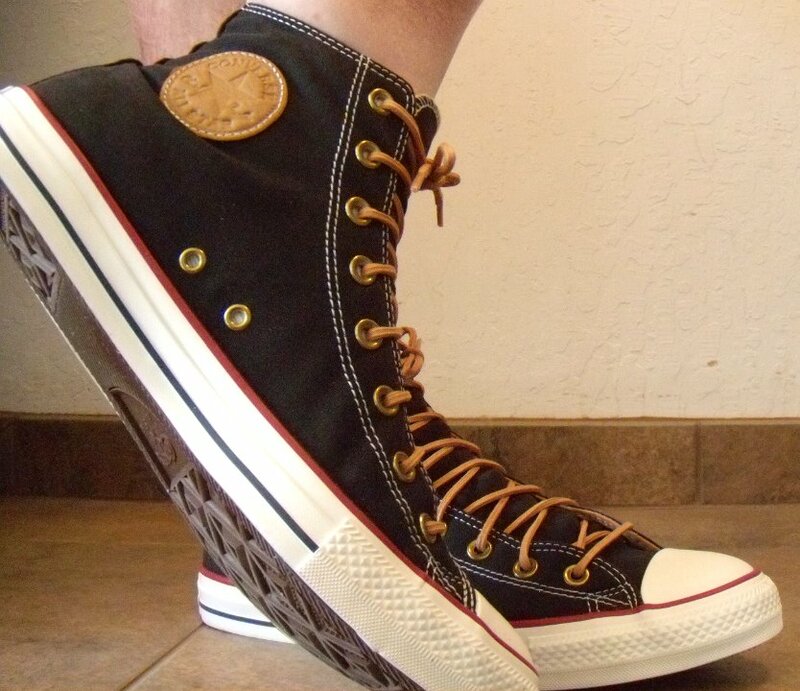 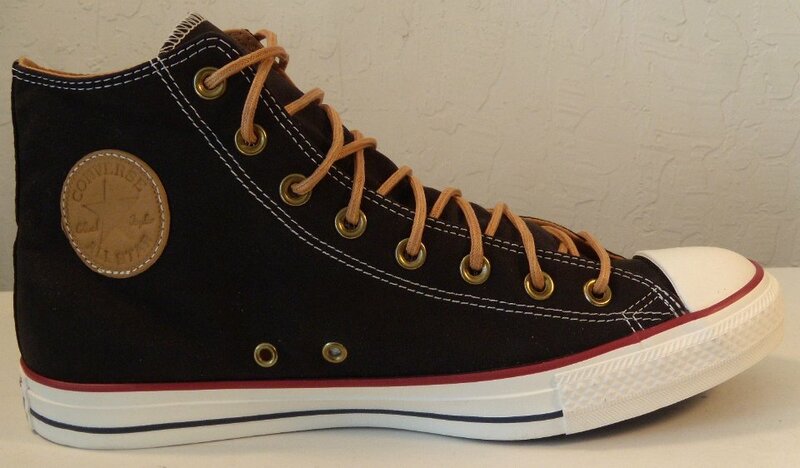 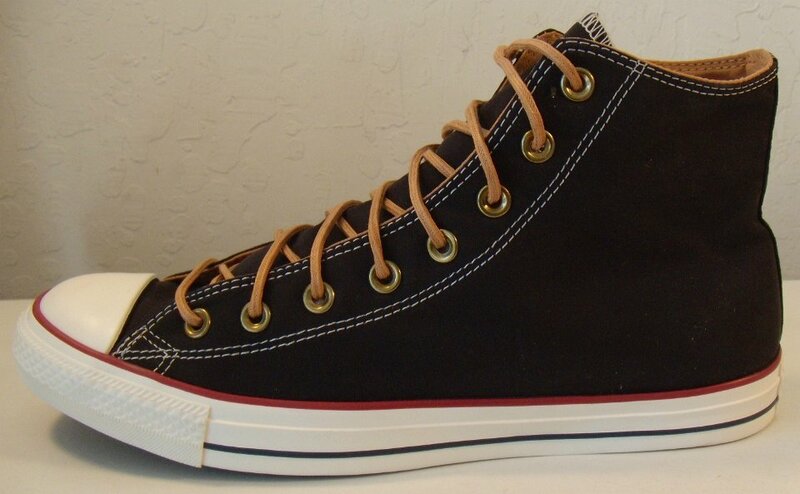 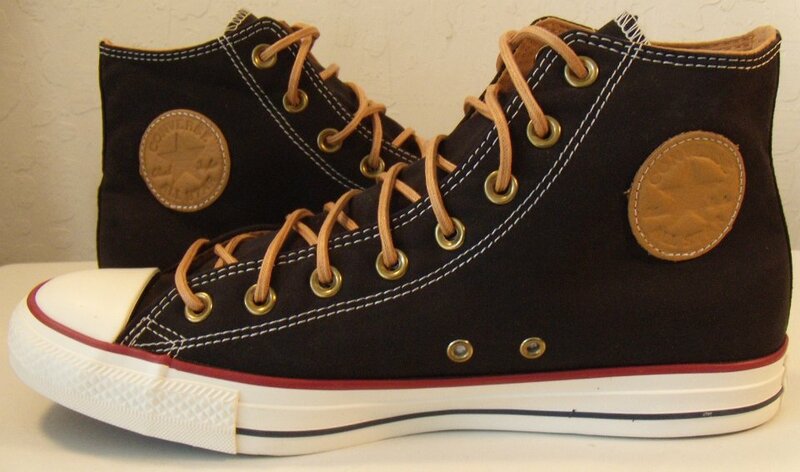 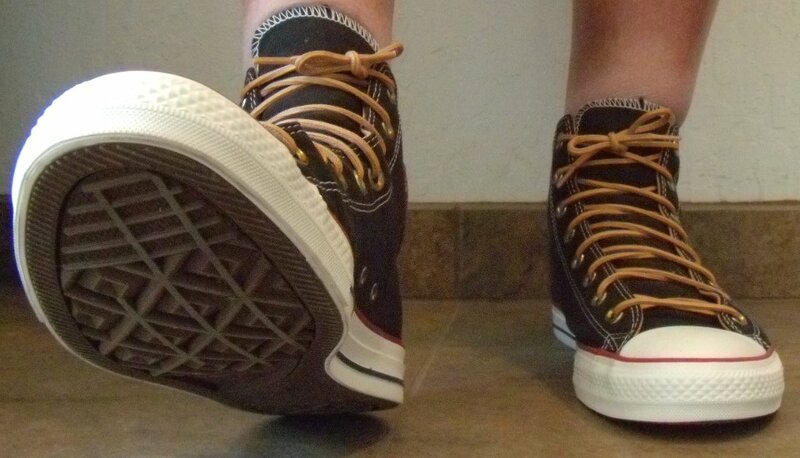 Photo gallery of a new pair of black and biscuit (brown) high top chucks. 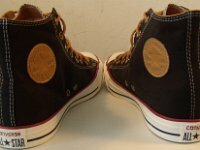 1 Black and Biscuit High Top Chucks Right inside patch view of black and biscuit high top chucks. 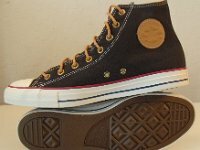 2 Black and Biscuit High Top Chucks Right outside view of black and biscuit high top chucks. 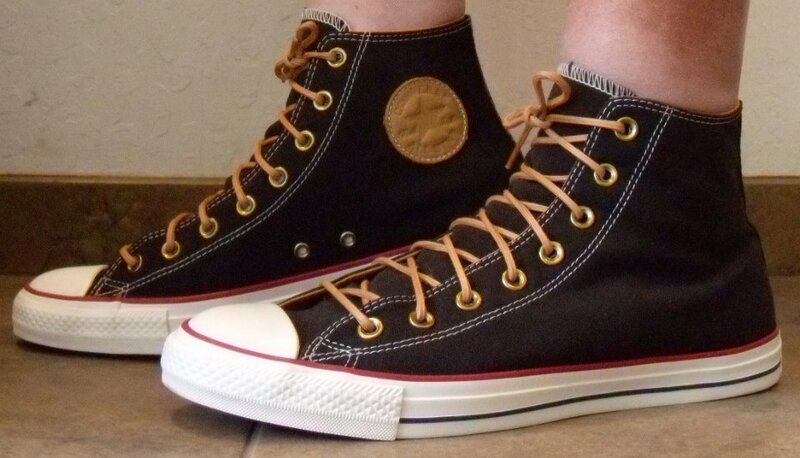 3 Black and Biscuit High Top Chucks Left inside patch view of black and biscuit high top chucks. 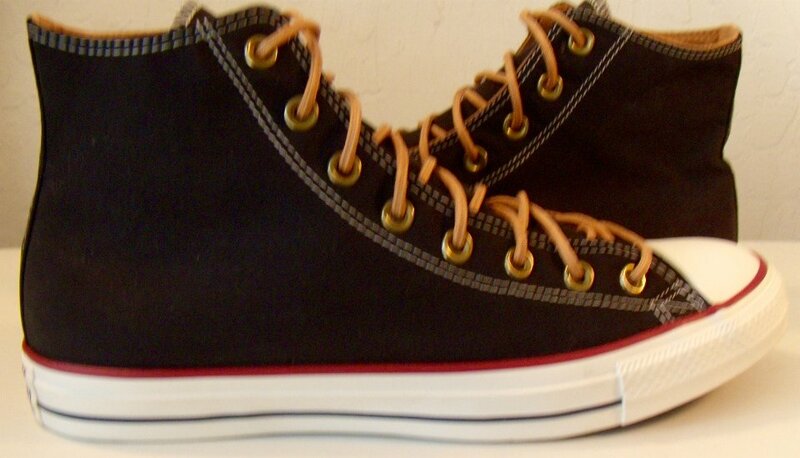 4 Black and Biscuit High Top Chucks Left outside view of black and biscuit high top chucks. 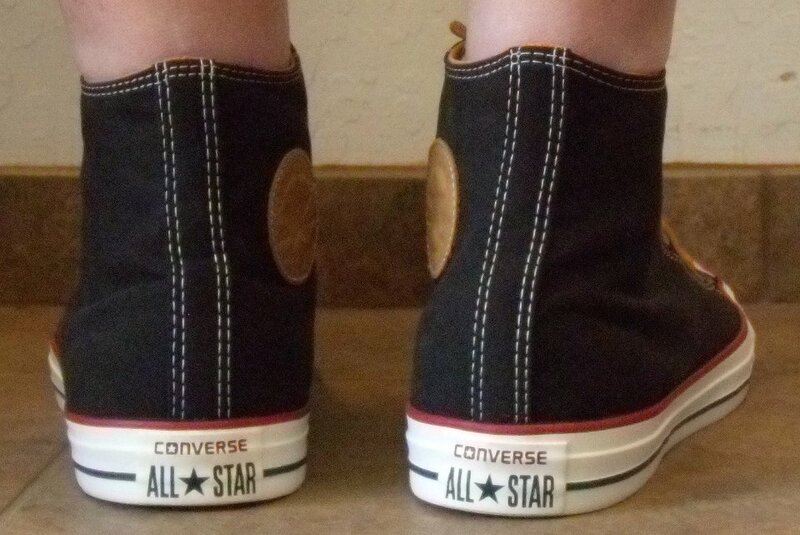 5 Black and Biscuit High Top Chucks Rear view of black and biscuit high top chucks. 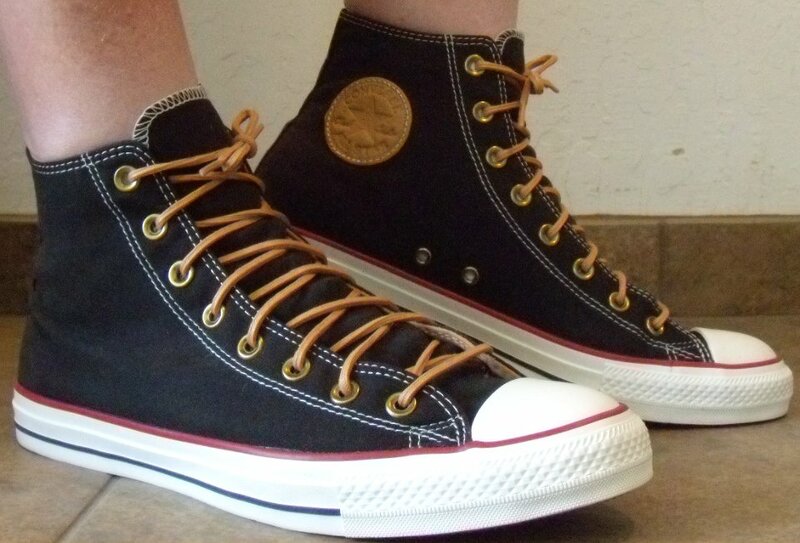 6 Black and Biscuit High Top Chucks Angled rear view of black and biscuit high top chucks. 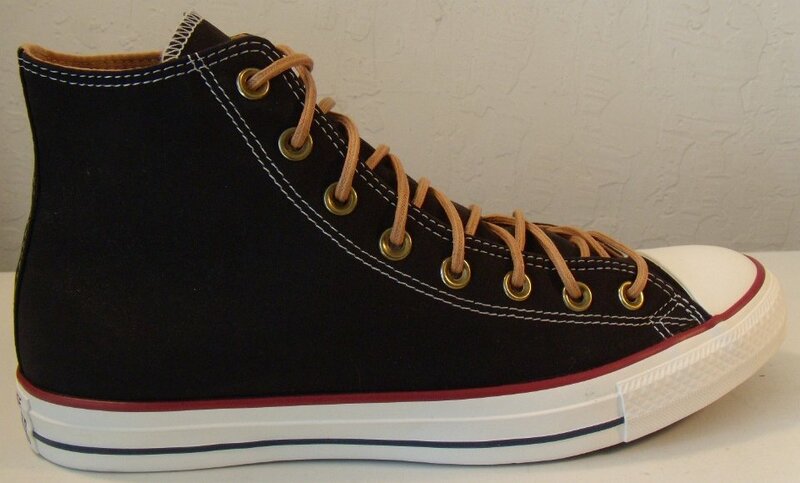 7 Black and Biscuit High Top Chucks Angled side view of black and biscuit high top chucks. 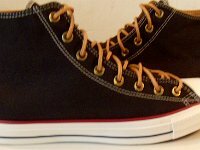 8 Black and Biscuit High Top Chucks Front view of black and biscuit high top chucks. 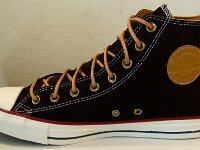 9 Black and Biscuit High Top Chucks Angled front view of black and biscuit high top chucks. 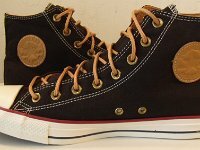 10 Black and Biscuit High Top Chucks Top view of black and biscuit high top chucks. 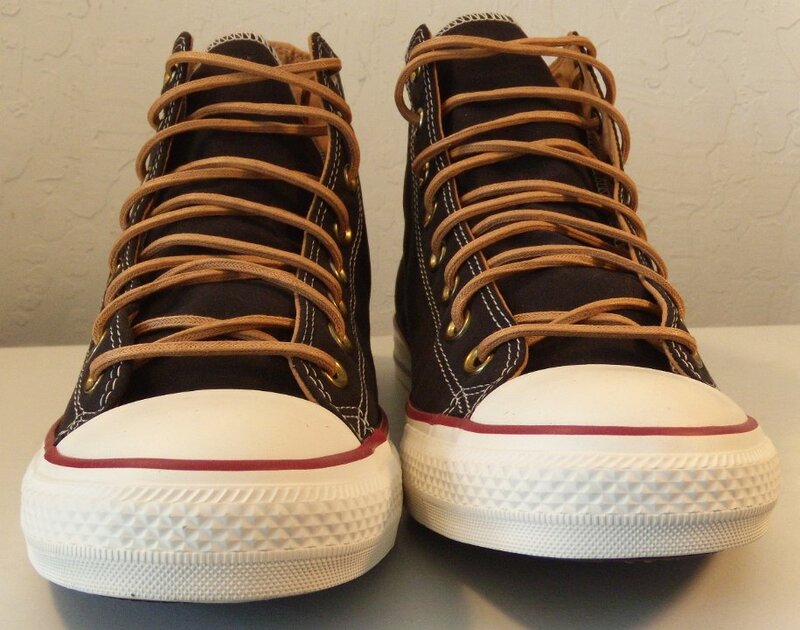 11 Black and Biscuit High Top Chucks Inside patch views of black and biscuit high top chucks. 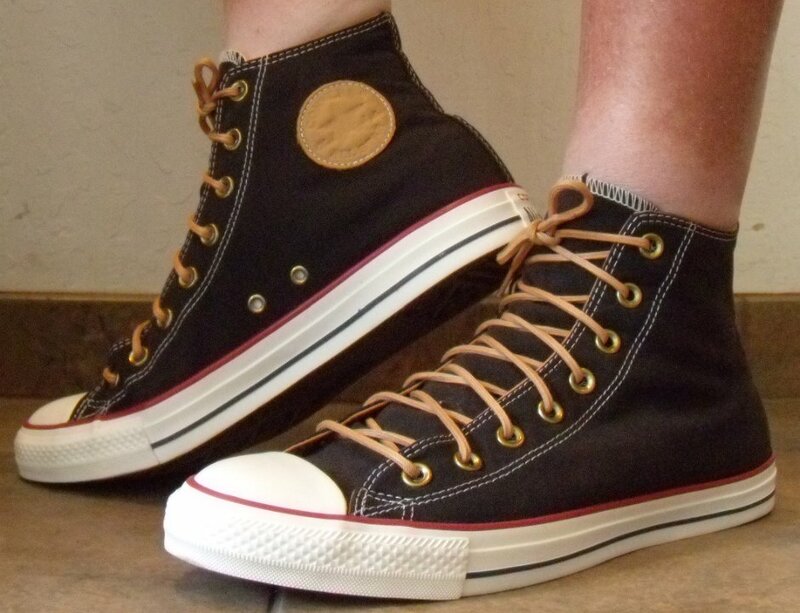 12 Black and Biscuit High Top Chucks Outside views of black and biscuit high top chucks. 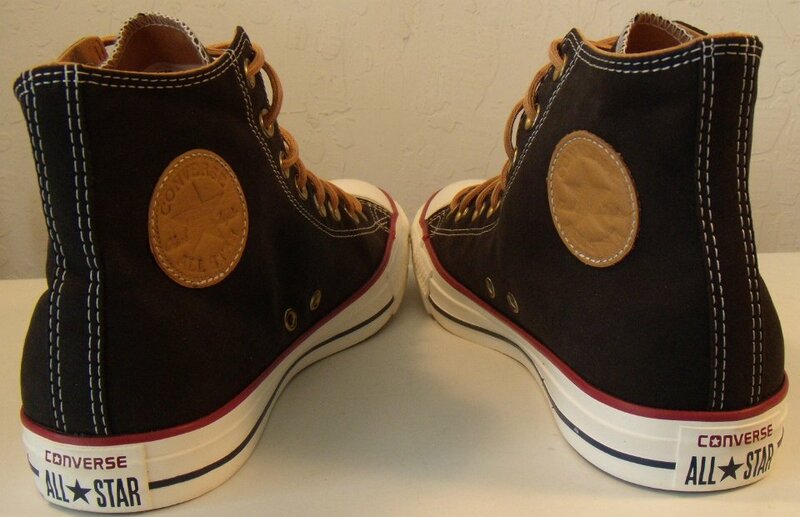 13 Black and Biscuit High Top Chucks Inside patch and sole views of black and biscuit high top chucks. 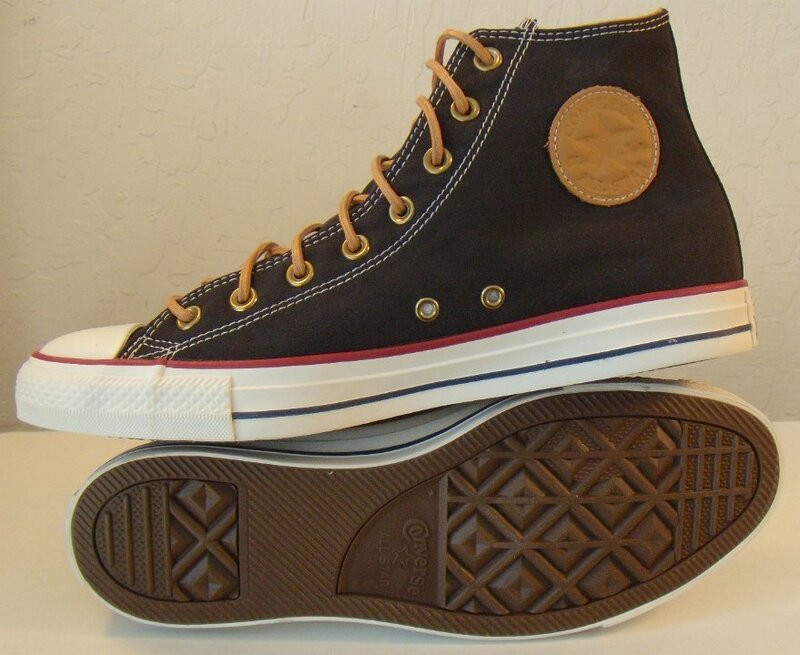 14 Black and Biscuit High Top Chucks Insole view of black and biscuit high top chucks. 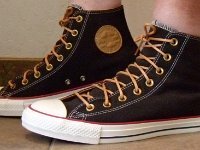 15 Black and Biscuit High Top Chucks Wearing black and biscuit high top chucks, front view 1. 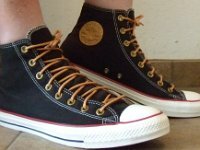 16 Black and Biscuit High Top Chucks Wearing black and biscuit high top chucks, front view 2. 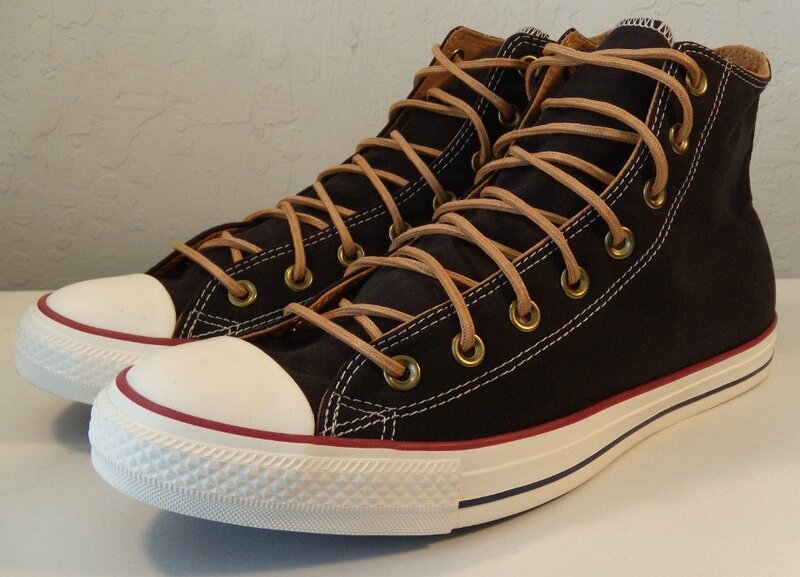 17 Black and Biscuit High Top Chucks Wearing black and biscuit high top chucks, right side view 1. 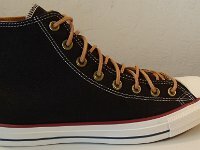 18 Black and Biscuit High Top Chucks Wearing black and biscuit high top chucks, right side view 2. 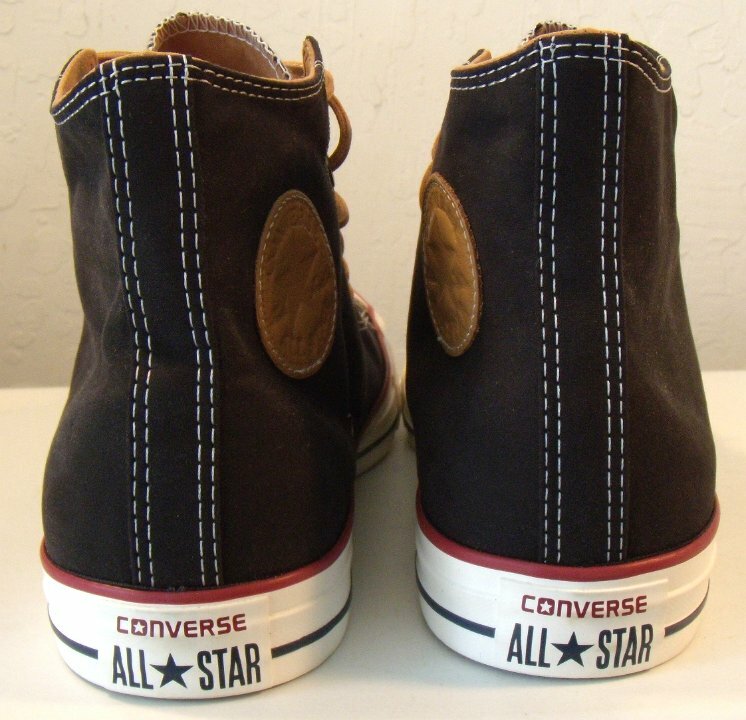 19 Black and Biscuit High Top Chucks Wearing black and biscuit high top chucks, rear view 1. 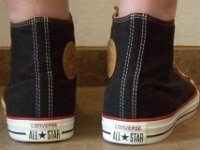 20 Black and Biscuit High Top Chucks Wearing black and biscuit high top chucks, rear view 2. 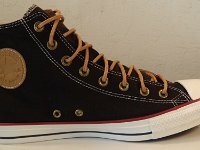 21 Black and Biscuit High Top Chucks Wearing black and biscuit high top chucks, left side view 1. 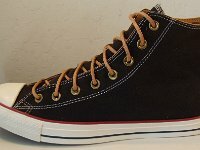 22 Black and Biscuit High Top Chucks Wearing black and biscuit high top chucks, left side view 2. Black and biscuit (light brown/peach) high tops chucks are a seasonal release of 2016. 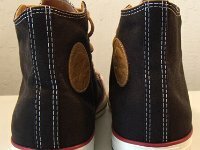 The shoes have a smooth black upper, somewhat suede-like in feel and texture. 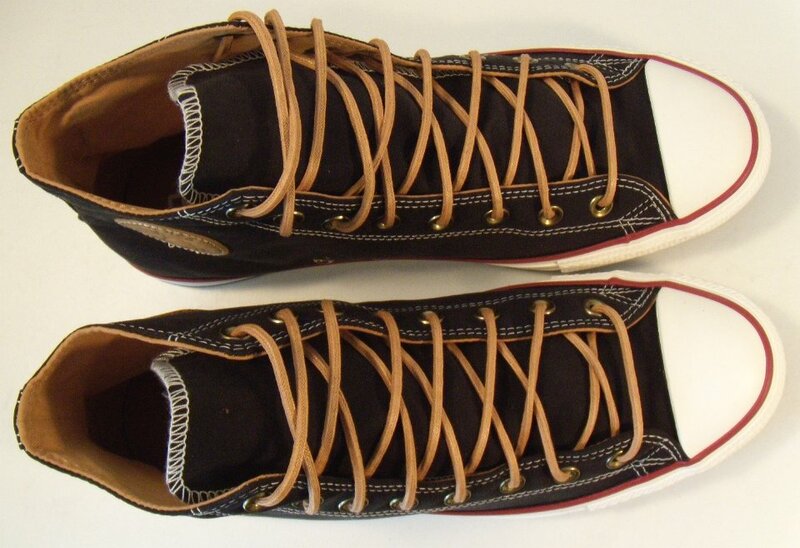 The sneakers have a red racing stripe instead of the usual black. 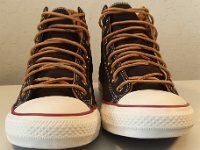 The ankle patches have been replaced with a faux leather stamped patch, and the shoe laces are a matching narrow lace, similar to rawhide. 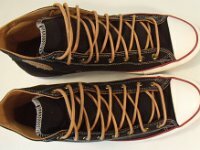 The inside canvas and insole are colored in the peach/little shade that matches the shoelaces and the ankle patches. 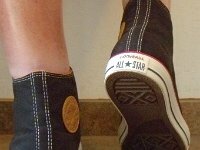 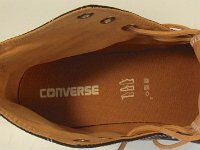 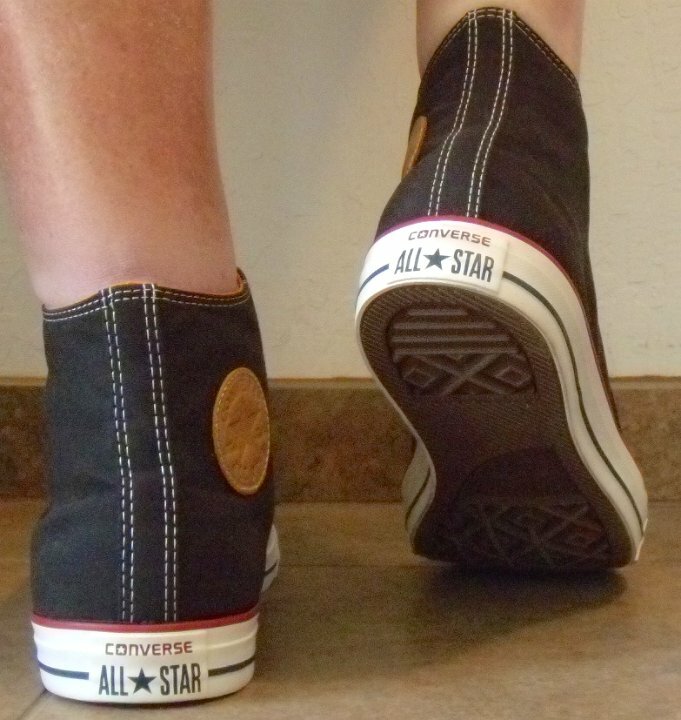 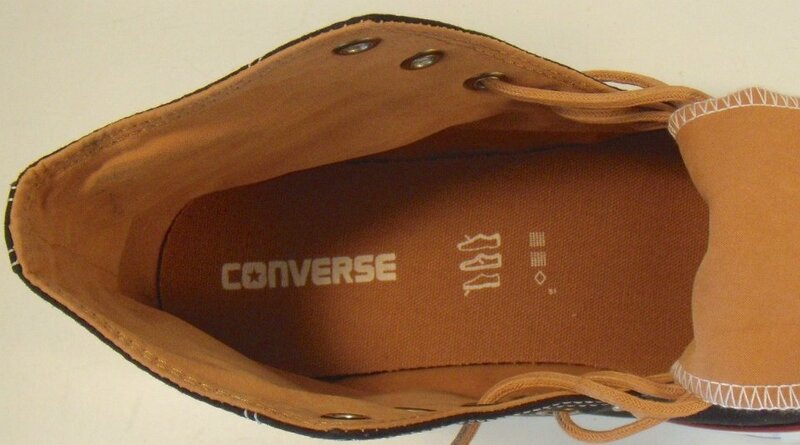 The heel patch has the word "Converse" in red and the star and "All Star" text in black.